THURSDAY, June 29, 2017 (HealthDay News) -- In the midst of another struggle over U.S. health care coverage, a new study finds that Americans who don't have health insurance face a significantly higher risk for premature death. "The evidence is overwhelming that insurance saves lives and taking away coverage costs lives," said study co-author Dr. David Himmelstein, a professor of public health at the CUNY School of Public Health at Hunter College in New York City. This conclusion follows a review of previous investigations that looked at how gaining or losing insurance affects the health and life spans of American adults under 65. "We were not very surprised by the findings, since a 2002 report from the Institute of Medicine [IOM] of the National Academy of Sciences had reached a similar conclusion," Himmelstein said. That earlier IOM report reviewed 130 studies before concluding that "the uninsured have poorer health and shortened lives." The IOM estimated the number of Americans who die each year as a result of being uninsured at 18,000, the researchers said. "But since that time," said Himmelstein, "there's been lots of new evidence which greatly strengthens confidence that insurance makes a big difference in preventing unnecessary deaths." The new analysis comes just after the Senate debuted its plans -- known as the Better Care Reconciliation Act of 2017 -- to repeal and replace the Affordable Care Act (ACA), also known as Obamacare). After talks on Capitol Hill found that Republicans might not have the votes needed for passage, voting on the bill has now been postponed till after the July 4 break. On Monday, the nonpartisan Congressional Budget Office predicted that the GOP-sponsored bill would lead to 22 million Americans losing their health coverage by 2026. That would be on top of the 28 million Americans who already lack insurance. For the new review, Himmelstein and co-author Dr. Steffie Woolhandler, also from CUNY School of Public Health at Hunter College, searched all of the available medical literature for studies done on health insurance and health outcomes, including death. One study in the review found that when previously uninsured adults acquired Medicaid, the government-run insurance program for lower-income Americans, they rated their health as being better. They were more likely to get their diabetes under control, and were less likely to be diagnosed with depression. 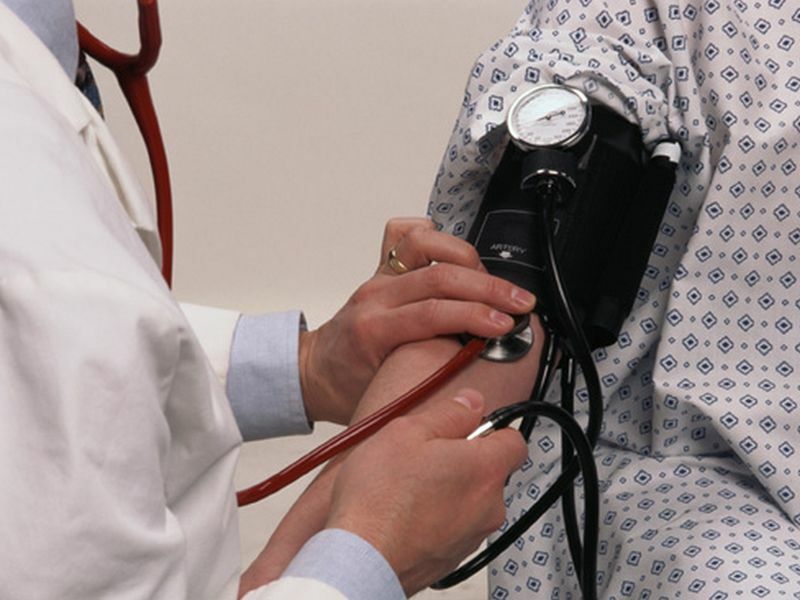 Another study found that those with full coverage faced a lower risk for high blood pressure compared with those whose coverage required them sharing some of the cost of having their blood pressure examined. Other research found that when patients were offered free blood pressure screenings, premature deaths (whether due to heart disease or not) dropped by 17 percent. The authors of the new study also found that national survey data indicated that being uninsured was associated with a significantly higher risk for premature death. States that expanded Medicaid coverage under Obamacare saw mortality rates fall 3 to 6 percent. And, studies that looked at high blood pressure found worse control and a higher early death risk among the uninsured. The review authors concluded that insurance reduces the risk of premature death by anywhere from 3 to 29 percent, often by helping to keep high blood pressure under control. Jim Carleton is outreach coordinator for the Tri County Community Action Agency, a nonprofit social service organization based in Johnston, R.I. He said the new findings "are no surprise at all. "I can tell you anecdotally that, clearly, the more people who are insured, the more people get their health needs met, the fewer people who are sick," Carleton said. He said that in some parts of the country, rising Obamacare premiums have been a problem, "especially in rural areas." But in his area of Rhode Island, expanded health coverage under the Affordable Care Act has "literally saved lives. People with cancer, people with all sorts of medical issues, are getting care they wouldn't otherwise get," Carleton said. The review was published June 26 issue of the Annals of Internal Medicine.